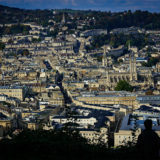 Bath has been named as one of the UK hotspots for a new type of ‘positive investor’ revolutionising the funding of social and environmental businesses. The Make Money Do Good report found that Bath residents have invested £2.3 million since 2012 in local community projects and businesses. 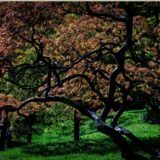 The report was launched today by Ethex, the first on-line exchange for positive investments, to coincide with Good Money Week from 19 – 25 October 2014. 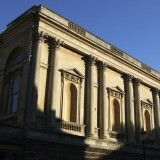 It revealed that renewable energy schemes have played a major role in making Bath one of the top hotspots. Since 2012 positive investors raised £1.55 million for local community-owned renewables through Bath and West Community Energy. The 2014 winners of the community energy awards continue to lead the way, with their current £1.6 million offer now available on the Ethex website. Other community offers include one of the UK’s most successful community pubs. Over 500 people raised £700,000 In July 2013 to save The Bell Inn on Walcot Street and keep the live music venue thriving, and there was a successful £50,000 buyout of a community shop in Westbury sub Mendip. 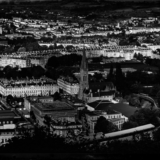 Pete Capener, chair of Bath and West Community Energy, has been a long standing advocate of community shares. 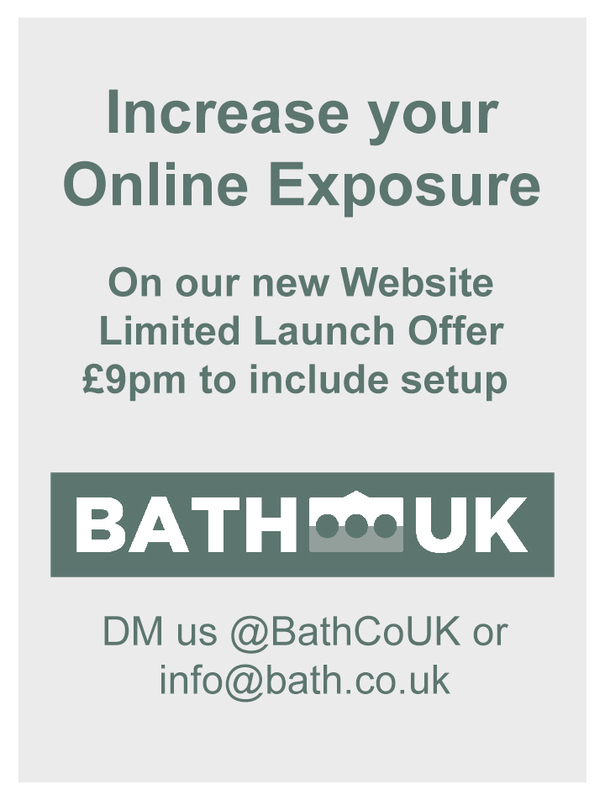 “Bath has a history of doing things differently. We are lucky to have a proactive council, a history of community action and a strong Transition movement” he said. 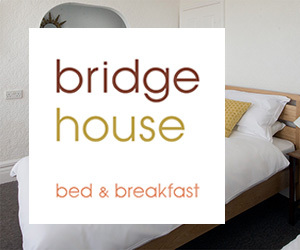 “Only recently over £800,000 was raised by the community to buy a much loved pub, the Bell Inn. 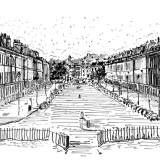 Add to this community initiatives like Bath Green Homes and Energy Efficient Widcombe and you have fertile ground for investment into realistic and dynamic projects“. 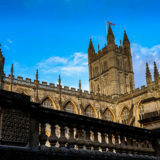 The report found that Bath is at the forefront of a movement across the UK where savers and investors are increasingly supporting local community projects and businesses. Some 152 communities have invested £47 million of their personal wealth since early 2012 to fund renewable energy projects, shops, pubs and similar local projects. 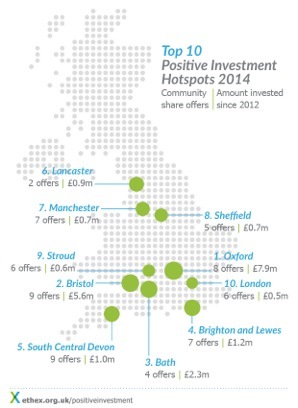 The report found that Oxford is leading a movement across the UK where savers and investors are increasingly supporting local community projects and businesses. 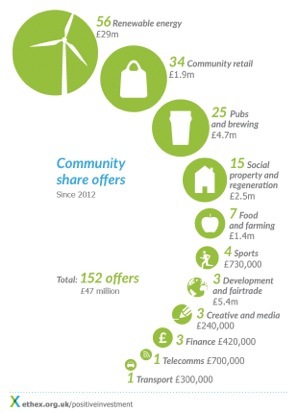 Some 152 communities have invested £47 million of their personal wealth since early 2012 to fund renewable energy projects, shops, pubs and similar local projects. 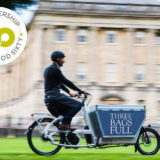 Community-owned renewable energy projects are the most popular with investors, and 56 have raised £29 million, followed by projects involving community shops (34 raising £1.9 million), pubs and brewing (25 raising £4.7 million), community buildings (15 raising £2.5 million), food and farming (seven raising £1.4 million) and development and fair trade (three raising £5.4 million). 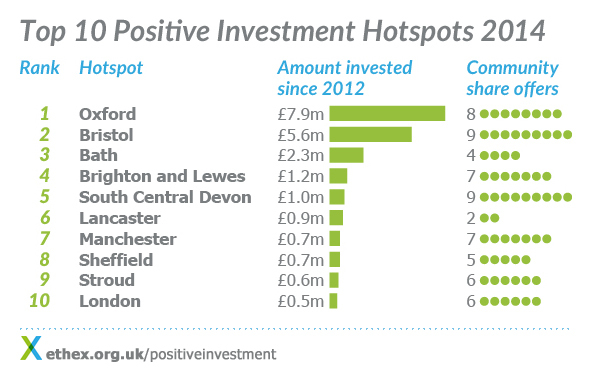 Direct positive investment into local communities is being led by 10 hotspots of positive investing, first identified in Ethex’s 2013 report. The most active hotspots are (see attachments).